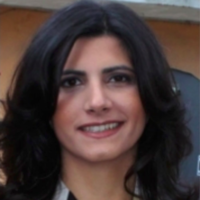 Researcher/MD, University of Naples "Federico II"
Dr. Maria Vargas is a researcher working every day in ICU. Her research interest has been directed towards the assessment and understanding of epidemiology and new insight in tracheostomy and mechanical ventilation. Dr. Vargas has studied epidemiology, timing and procedures of percutaneous tracheostomy in the ICU, invasive and non-invasive protective ventilation, sepsis, cardiac arrest, and outcome prediction tools in the critically ill. Most recently, she centered her research interest in the study of asynchronies and electrical impedance tomography during spontaneous mechanical ventilation.